They say that you can never get a second chance to make a good first impression and there is a considerable amount of truth to this statement. Regardless of how you prepare your living room, the first thing one notices when he or she enters your home will most definitely be your hallway. With this in mind, everything there must be perfect and the key element in making this come true is your lighting solution. 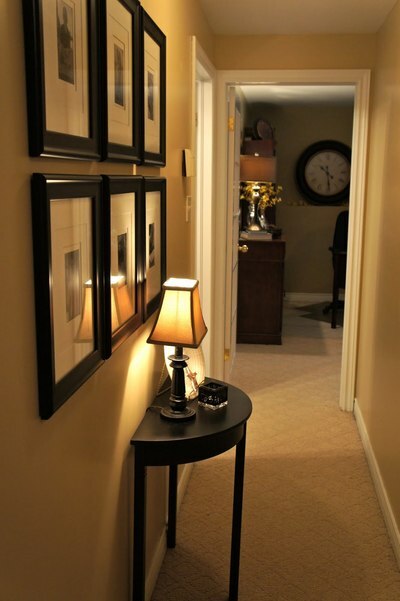 Here are some tips of how to organize illumination in your hallway the right way. Seeing how it is highly unlikely that you will spend a fortune on decorating your hallway, accent lighting might be a good idea. What accent lighting is, is a system where only certain areas are strongly illuminated while the rest is kept in the relative art. Use, a cunning selection of pendant lightsto shed some additional light to the entrance area as well as on any family picture or art piece that might be on your walls. This will truly make a unique impression and transform your hallway into something almost mystically magical. Another great idea would be to try and make the light in your hallway look as natural as possible. Although achieving this is far from simple, in the light of the results any effort is worth taking. The thing about enhancing ambience is that the choice of light source is as important as the volume of light itself. With this in mind, try to find adequate designer lighting solution , and in this way enable your hallway to become the talk of the town. This way, your guests will be mesmerized by the stylishness of your home as soon as they step inside. By arranging your light properly you will be certain that any potential visit to your home starts on the right foot. Finally, you could also try some outside of the box thinking and find a completely new and creative solution to your hallway lighting problem. One of the things you could do is leave the hallway in relative dark with slightly highlighted pathway, marked with adequate dim downlights. Even though this “gothic” idea may not suit everyone, some might find that it has a certain appeal about it. You can even take all of this one step further and do something for your planet by going with LED light bulbs instead of regular ones. Still, there are some things to consider before making your mind for this step, like minding the color and setting your saving expectations. If you expect of these bulbs to save for new car on its own you will be left bitterly disappointed, however the difference in your budget will be quite noticeable. As you can see, setting up a proper hallway lighting system is far from easy but where there is a will there is always a way. Still the most important thing is that you decide on the solution that fits your home and your hallway the best. Some ideas may seem great on the picture but would not work as well in practice. Take your time to plan everything to the detail but most importantly remember to have some fun.